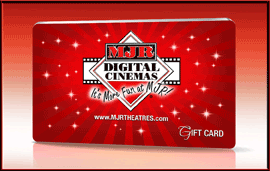 Give the Gift of Entertainment with MJR® Theatres' new Entertainment Card. Available in increments of $5.00 to $100.00. 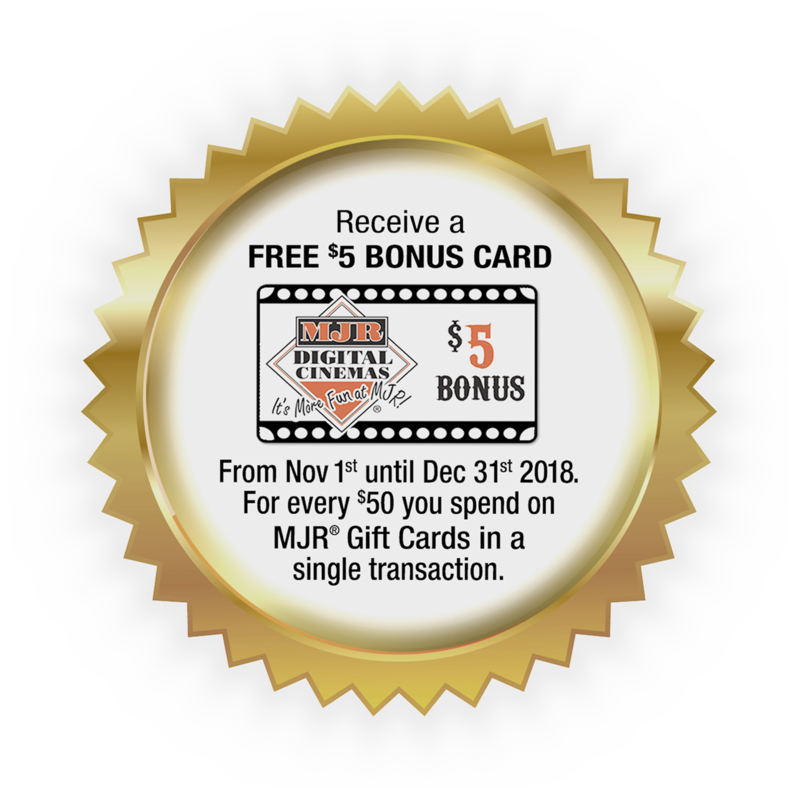 Valid for ticket or concession purchases. Cards are rechargeable at the box office. Not available at Allen Park Cinema. Place your secure order here! Cards are rechargeable at the box office. Entertainment Cards are shipped First Class Mail or Overnight Shipping. There is a $25.00 charge for Overnight Shipping.